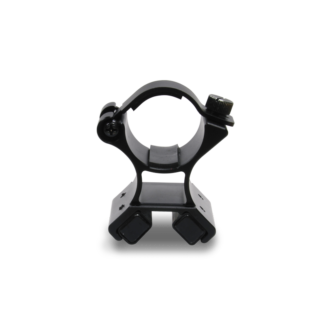 View cart “SOS Sub Surface Extraction Tool” has been added to your cart. 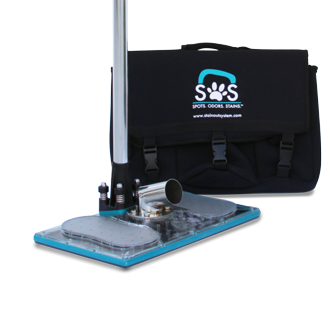 The SOS Sub Surface Carpet Extraction Tool allows for targeted airflow to the pad and backing beneath the carpet to extract contaminants, odors, and liquids, such as pet urine, feces, vomit, and more. 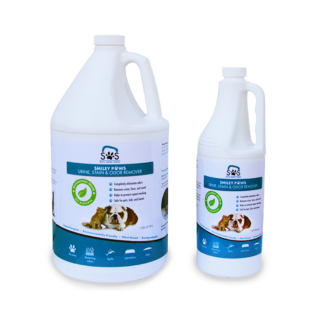 The SOS Tool works in conjunction with our Smiley Paws Urine, Stain, and Odor Remover to create the StainOut System. The SOS Tool uses a process called sub-surface extraction. 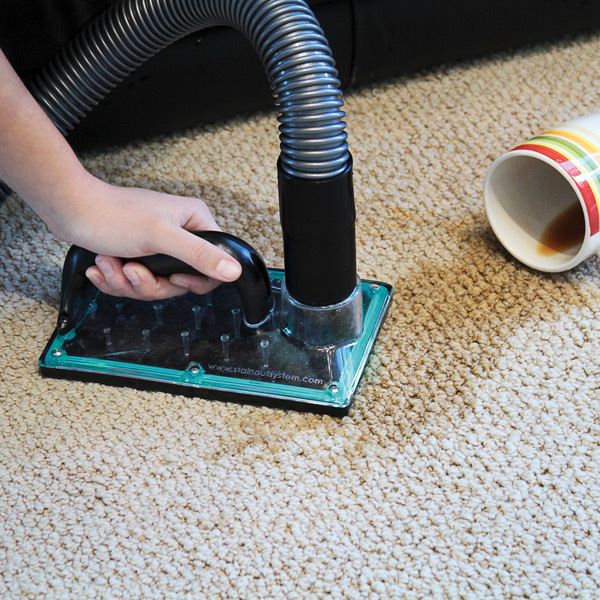 Sub Surface Extraction is used by professional carpet cleaners to thoroughly remove contaminants, liquids, and odors that have soaked into carpet padding and upholstery. Short of removing carpet, sub surface extraction is the best method for flushing out the true cause of odors and reappearing spots. 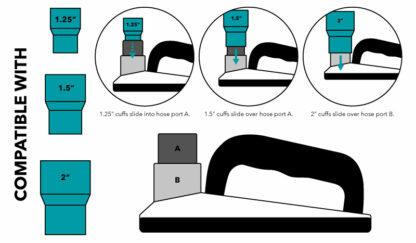 The SOS Tool by StainOut System is Patent Pending. 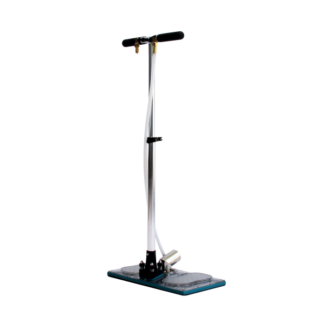 Sub Surface Extraction is used by professional carpet cleaners to thoroughly remove contaminants, liquids, and odors that have soaked into carpet padding and upholstery. Short of removing carpet, sub surface extraction is the best method for flushing out the true cause of odors and reappearing spots. Click here to download a printable information guide. 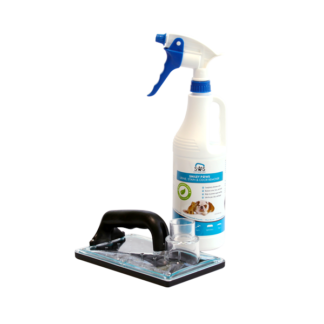 STEP 2: Finish by using the the SOS Tool with an extractor, truck mount, or wet-and-dry vacuum to flush out the solution and contaminants from the carpet. What type of wet-and-dry vacuum can I use with the SOS Tool? 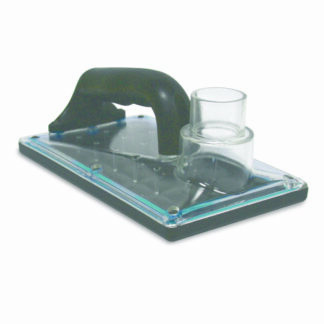 The SOS Sub Surface Extraction Tool has been designed to fit any standard wet-and-dry vacuum, carpet extractor, or truck mount with either 1.25”, 1.5”, and 2” hoses. I’ve recently started using this little gem and I like it a lot. Well thought out and has worked very well. Great for smaller sub-surface extractions and set up already for multiple vacuum hoses to attach. Quick and easy to grab for an extraction. I’ve always used my medium deluxe water claw before, but I’ll be using this a lot more in the future. Outstanding tool ! Works great ! I have used it on pet stains and Wow! Pulls them right out.. I have it 5 stars! Recommend everyone to get one ! For price and ease of using you be very happy!